We have so much fun with this every year, we thought it would be great to spread a bit of Christmas sparkle within the gallery and the iPhotography community. So grab your cameras whenever you get a chance and get the family involved, photograph your Christmas encounters and share them with us. You never know you might end up with an image to put on Granny’s card! Every two days we will announce a different theme. You can choose to do all 12 challenges, or just dip in and out of a few whenever you get a spare moment. Interpret the word/theme for the day however you wish, there are no strict rules, just have fun, get creative and enter into the festive spirit. Each day’s challenge will have its own individual theme and hashtag (#), so you can use the hashtag that matches the theme of your upload as your caption in the gallery. The competition will run from 1st December to 26th December 2018. You can also find details on Facebook and Twitter. 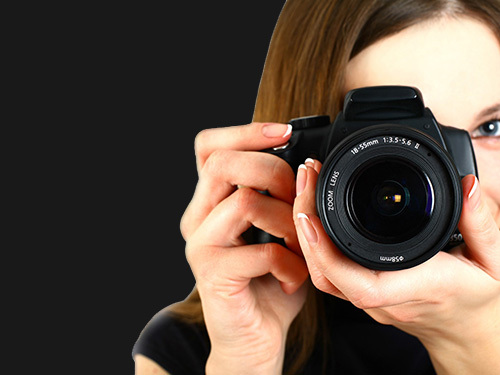 Upload your entries to the iPhotography student gallery in whichever order you want. We will showcase an entry every day, just like our popular POTD. In January, the tutors at iPhotography (with the help of Santa and our trusty elves), will choose the best image from each theme and 1 of those winners will be crowned as our overall Christmas Champion and featured in a special tribute blog along with the 12 category winners. The competition will replace our #WeekendChallenge for December. – who knows where it could lead for you?! The overall Christmas Champion will win a photography prize bundle, including iPhotography’s brand new limited edition Light Box! If you are reading this blog post, then you’ll be pleased to know that you’re getting a crafty head start by seeing a sneaky preview of what each day’s theme will be, so you get a little extra time to plan and prepare your shots. Don’t be obvious – Try not re-create the example images exactly. We want to see your own creativity in this competition. Use the theme as a springboard for your own shots. Use Photoshop – We aren’t against photo-editing if you want to add a little bit of sparkle to your pictures afterward. Copyright – Make sure the entire content of your image doesn’t infringe copyright laws. 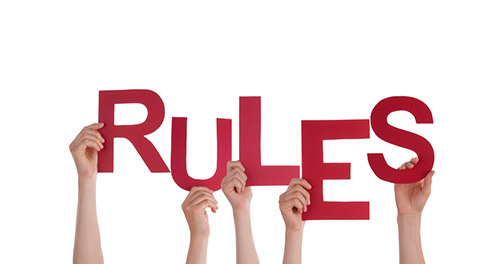 Any entries and students found to be breaking the rules will be disqualified. Have Fun – After all, it is Christmas so don’t feel that you have enter a shot for every theme, just work on your favourite ones! Remember, when you upload your image to the gallery, you must #hashtag the theme. So, for example, if it’s an entry for Day 1, then type ‘#Evergreen’ in the description or title field just so we can collate and judge the entries correctly. Interpret the #Evergreen theme in any way you choose. 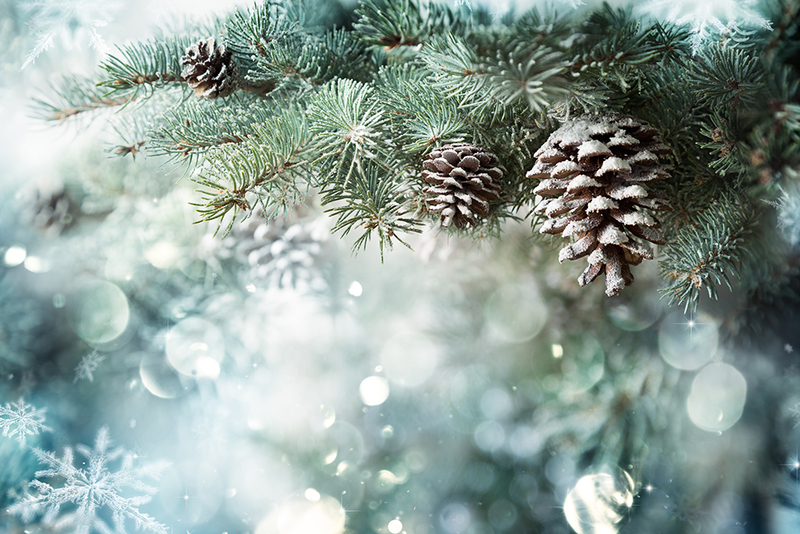 Ideas that you could consider: Ivy, holly, mistletoe (and kisses), Christmas wreaths, garlands, forests, fir trees, pine trees, pine cones and needles, tree lights and decorations. Interpret the #FestiveTreats challenge in any way you choose. 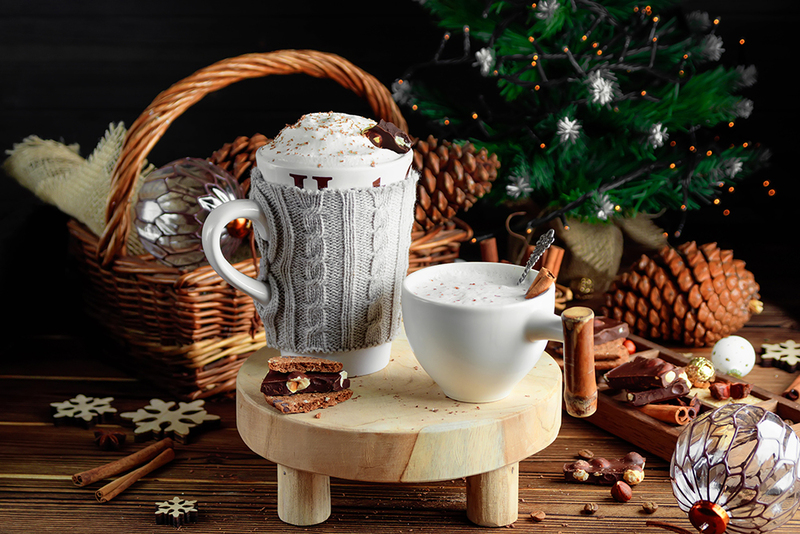 Ideas that you could consider: Steaming mulled wine, baking cinnamon cookies, and gingerbread houses or cosying up by the fire and enjoying a hot chocolate by a log fire. Mince pies for Santa, carrots for Rudolph, roast turkey, pigs in blankets, cookies, shortbread, selection boxes, gingerbread, truffles, Christmas cake, cheeseboard, tangerine, glazed gammon, stuffing, cranberries, bread sauce, turkey gravy, salmon, cloves and cinnamon, champagne, sherry or a bucks fizz. Interpret the #Winterscapes challenge in any way you choose. 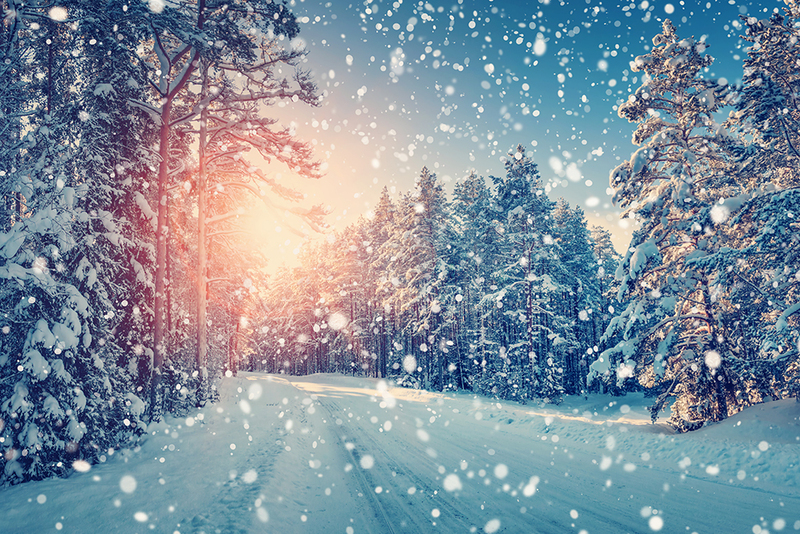 Ideas that you could consider: snow-covered landscapes or seascapes. Frost, ice, crisp sunrises, fields, mist, fog, picturesque views. Interpret the #Characters challenge in any way you choose. 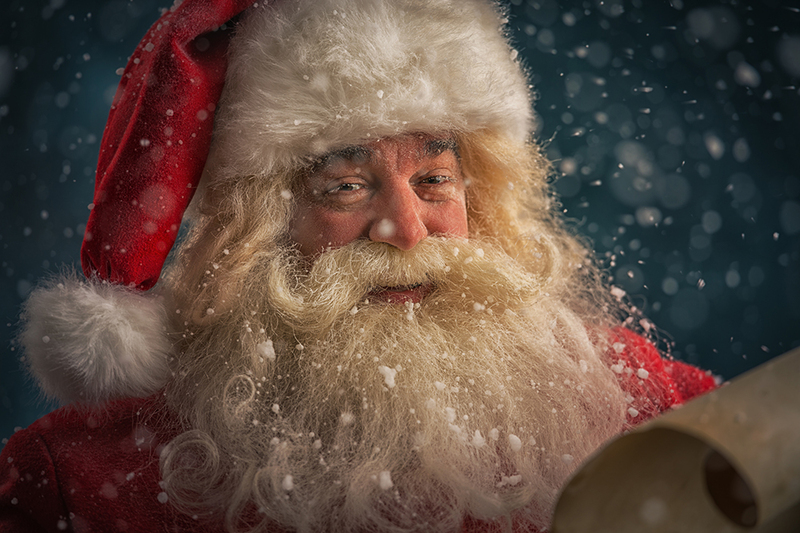 Ideas that you could consider: Santa, Rudolph, Fairy, Elf, star, Donkey, Sheep, Angel, Gingerbread man, Snowman, Penguin, Drummer boy, Nutcracker, 3 Kings/Wise men, Innkeeper, Shepherd, Mary & Joseph, nativity play. 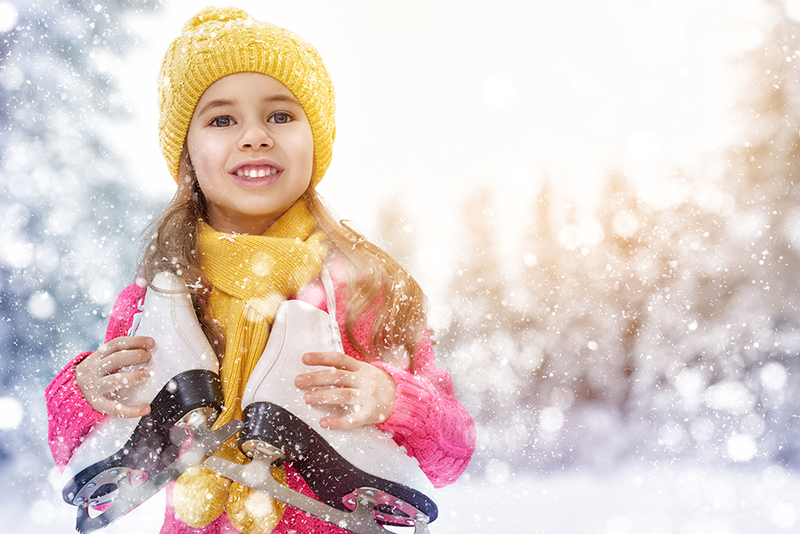 Interpret the #SeasonalActivities challenge in any way you choose. Ideas that you could consider: family traditions, ice skating, visiting winter wonderlands, riding a reindeer, snowball fights, building a snowman or picking out your Christmas tree! 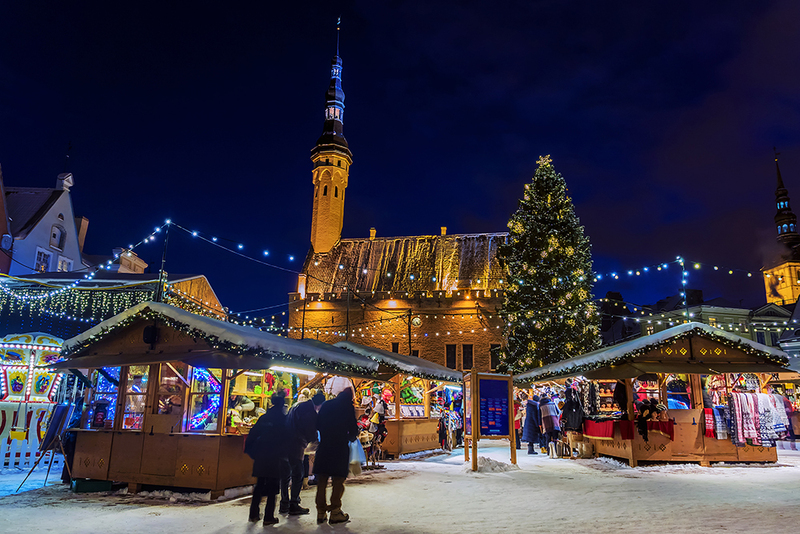 Interpret the #ChristmasMarkets challenge in any way you choose. 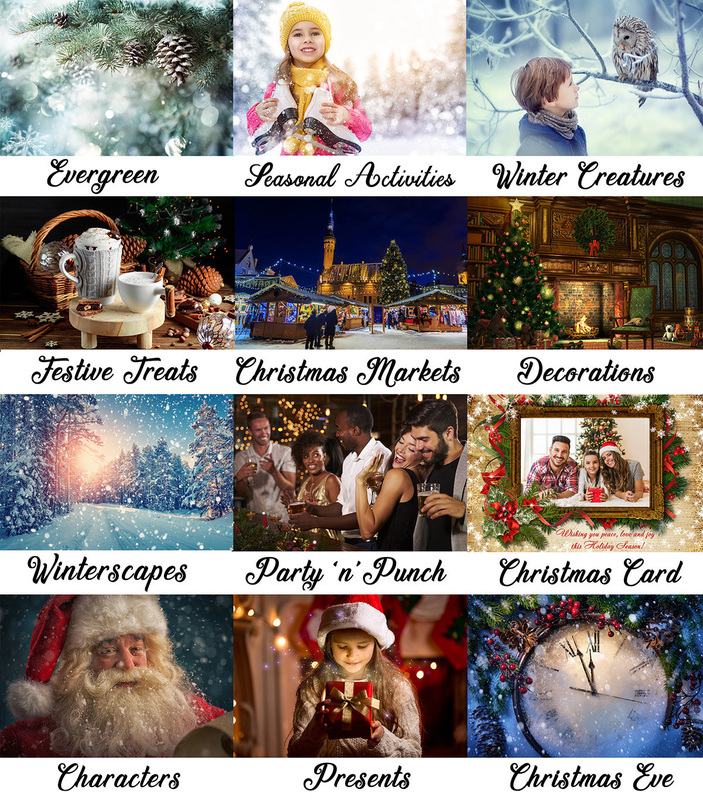 Ideas that you could consider: Sweets, food cooking on the hotplate, pancakes, waffles, crepes, trinkets, decorations, sparkling lights, fairground rides, Santa’s grotto, ice skating, snow globes, ice bars, ice slides, helter-skelter, mulled wine, bbq grill. Interpret the #PartynPunch challenge in any way you choose. 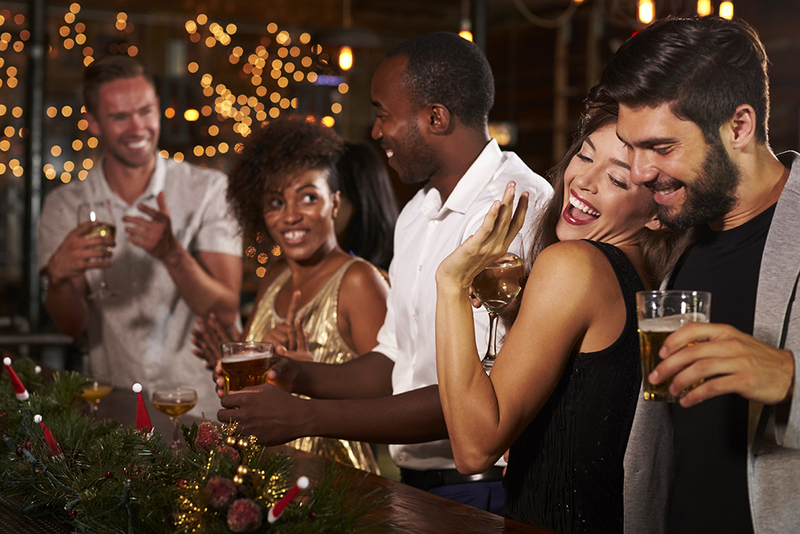 Ideas that you could consider: Table decorations, tinsel, baubles, foil garlands, Christmas tree, Christmas parties, glitter, fancy nails, makeup, diamante dresses, sparkling shoes, sequins, disco balls, glitter, fairy lights, metallics, frost, ice, presents. Interpret the #Presents challenge in any way you choose. 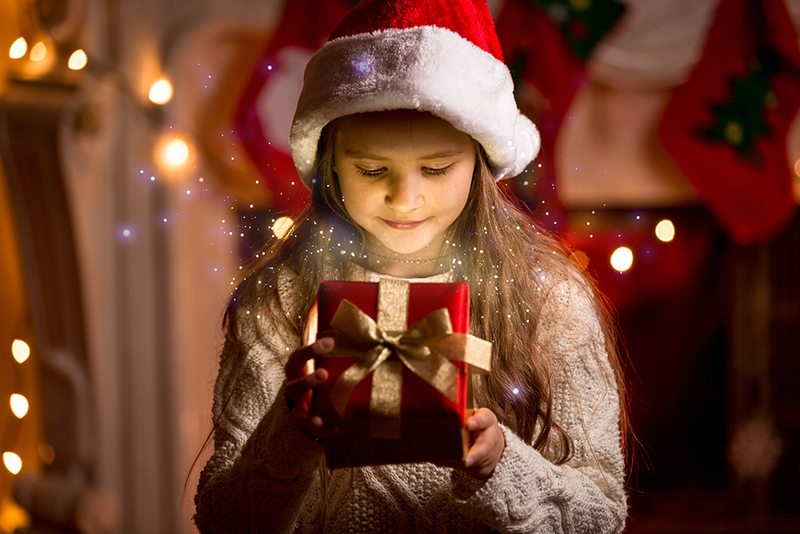 Ideas that you could consider: Present piles under the tree, children waking up and seeing presents, giving presents, excited faces, wrapping presents, bubble wrap, ribbon, bows, wrapping paper, tissue paper, bright coloured boxes, magical glowing boxes, sacks of coal, empty packaging and the aftermath. 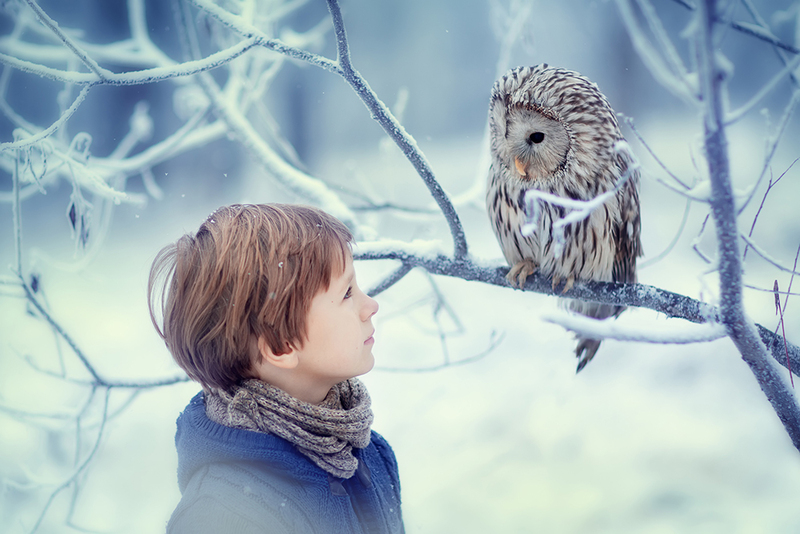 Interpret the #WinterCreatures challenge in any way you choose. Ideas that you could consider: Robins, squirrels, reindeer, moose, snow owl, arctic fox, penguins, polar bears, deer, mice, donkey – for anyone familiar with John Lewis Christmas adverts, you may spare a thought for ‘the bear and the hare’ at Christmas. 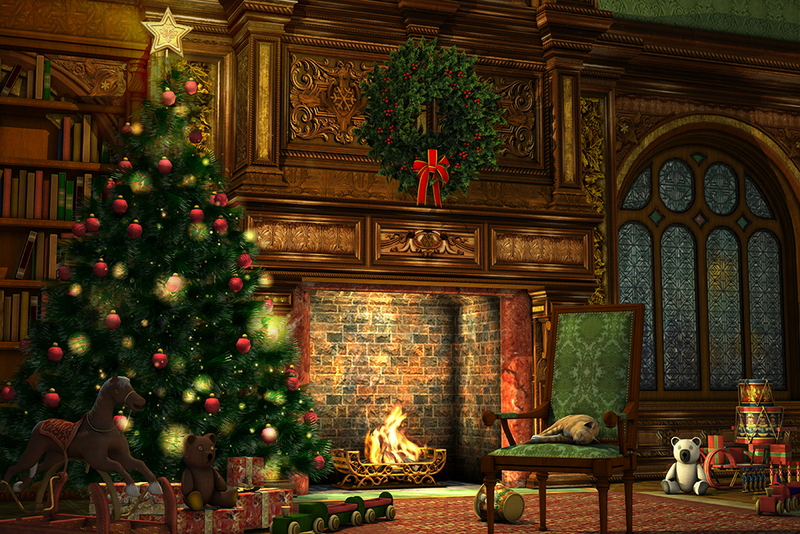 Interpret the #Decorations challenge in any way you choose. Ideas that you could consider: Tinsel, baubles, glitter, fairy lights, ornaments, garlands, wreaths, decorating the Christmas tree, outdoor lights, bells, bows, beads, sprayed twigs, foil balls, foil garlands, paper snowflakes, snow spray, Santa’s magic key, Christmas stockings, window stickers, hanging signs. Interpret the #ChristmasCard challenge in any way you choose. Ideas that you could consider: props, face painting, laughing, new editions, pets, cosy, happy, silly shots, winter setting, in-house shots, self-timer. 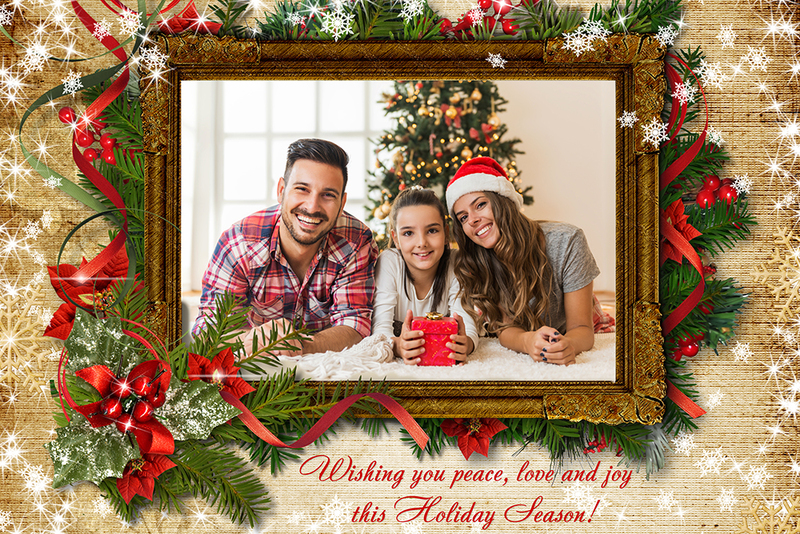 Try editing your images to create borders and frames to give that Christmas card feel! Interpret the #ChristmasEve challenge in any way you choose. 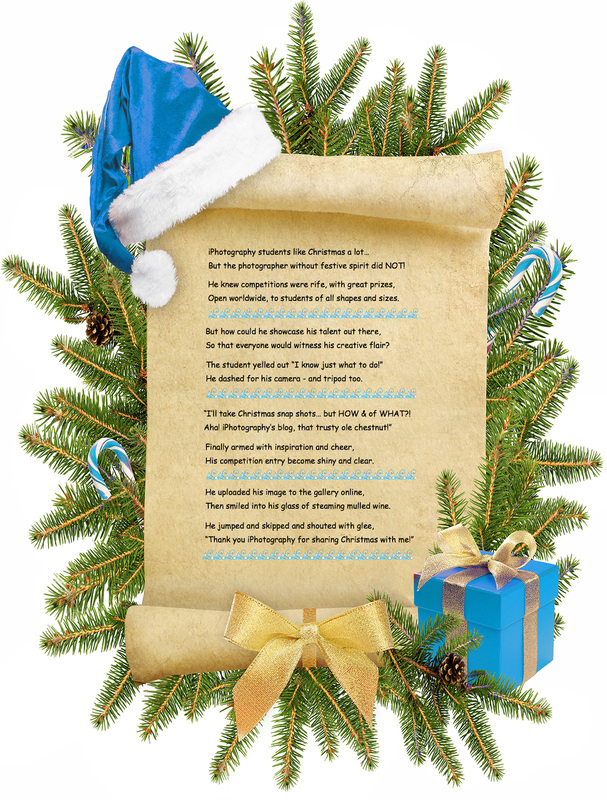 Ideas that you could consider: TwasTheNightBeforeChristmas. Children waiting up for Santa, looking for the sleigh out of window, leaving food out for Santa and Rudolf, excited children, families huddled together, wrapping presents, family and visitors arriving to stay, celebrating with friends, parties, hanging stockings, table preparations, putting presents under the tree, Hiding the magic key for Santa, clearing out the fireplace (ready for Santa’s arrival down the chimney). Your ’12 Days of Christmas’ competition entries can be uploaded from the 1st December 2018. 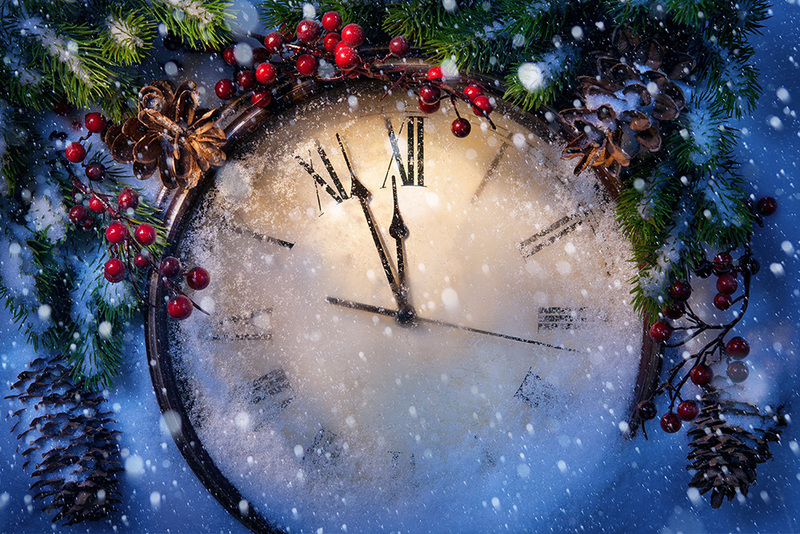 We’ll announce the 12 category winners and the overall Christmas Champion in January on our blog page. Follow our Facebook, Twitter and Instagram pages for daily content and showcases regarding the competition. We hope we have helped to scatter some magical fairy dust over your camera this festive season. 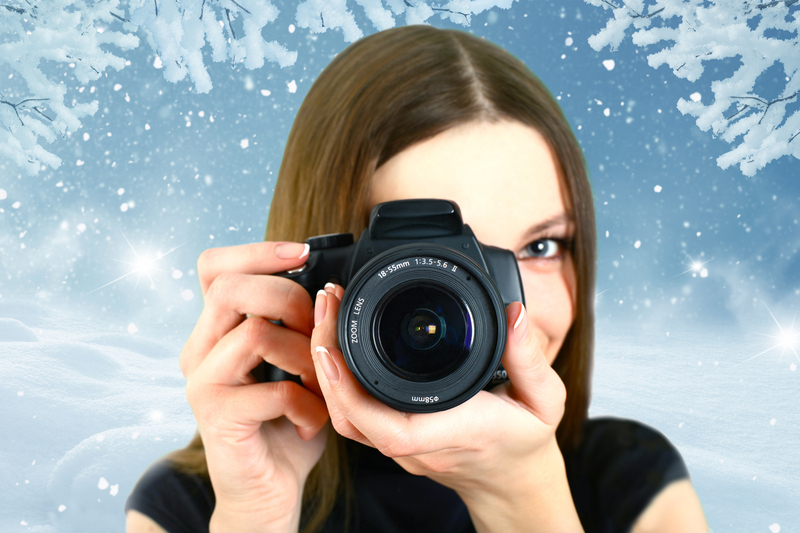 Have a wonderful December & Merry Christmas from all of us at the iPhotography Course! DONT FORGET! The annual iPhotography Student Awards 2018 is now live for all registered students to cast their votes for their favourite Photographer and Image of the Year. Good Luck in the Competitions!